What is wealth without health? Would you choose a diamond studded wheelchair over a fit and healthy body.No Definitely Not?. A fit body and a fit mind are very necessary to stay competitive in one’s life. You know that life gives you no guarantees. What is there today is not there tomorrow. You may be ahead in all fields in life and your career. A sudden illness may set you back many years. Don’t you think that it is very necessary to take that health and mediclaim policy? Would you wager your health on the unknown? Would you leave your life to chance just like tossing a coin? When is the time when you feel most vulnerable in life? Definitely when you are lying on a hospital bed thinking of your future. It is too late to do anything at this point. Now is the right time to take that health policy. It would be wise to remember the proverb " The Fox Condemns The Trap But Never Himself ".I would like to remind all of you that the team of Financial Planners at IndianMoney.com are always there for you to plan your health needs in a most effective and efficient manner. You can explore this unique Free Advisory Service just by giving a missed call on 022 6181 6111. What Is An Individual Mediclaim Policy? The most common and easy to understand mediclaim policy is the individual health policy. We are provided hospitalization expenses up to the amount we insure ourselves commonly known as the sum assured. The premium of the policy may range from INR 1500 To INR 3000 for a policy cover ranging from INR 1 Lakh to INR 2 Lakhs. What Is A Family Floater Policy? A Family Floater policy is a higher variant of the individual mediclaim policy. The assured sum covers an entire family. This means that the policy floats among the family members. Each family member comes under this policy. The premium paid for the family floater is lesser than if each individual member had taken up a health policy. Let us consider Mr Mohan a 35 year old IT Executive takes up a family floater policy for a sum insured of INR 10 Lakhs. Mr Mohan’s father had a heart ailment hospitalization of which cost INR 6 Lakhs. The result of this was the cover was reduced to only 4 Lakhs as a result of this illness. However a critical financial crisis was averted. Mr Mohan’s brother of 12 years and mother as well as himself are covered under this policy. The policy is replenished the following year on payment of the premium .This is a very good policy as whenever any of your family members fall ill the policy can benefit them. The premium of the family floater depends on the age of the eldest member of the family. What Diseases Does Family Floater Cover? Technological Advanced Day Care treatments where 24 hour hospitalization is not required. Ambulance Charges for shifting the insured from residence to the hospital. Pre existing diseases are covered after four continuous claim free renewals. Ayurvedic, Homeopathic and Unani system of treatment are covered up to the extent of 25% of the sum assured and treatment has to be taken in a registered hospital. What Is Not Covered Under Family Floater Policy? Dental treatment except arising out of an accident. Circumcision, cosmetic surgery, Plastic surgery unless required to treat an illness. Acts of War, Terrorism, and use of a Nuclear weapon. Sexually Transmitted Diseases and HIV. Experimental and unproven treatments and also clinical trials. An individual who is around 50 years of age takes a family floater plan for himself, Spouse and 2 children. He suffers from diabetes and hypertension. He insures himself and his family under a family floater for INR 8 Lakhs. The premium is around INR 40000 for this sum. The tests required are General medical, Urine Test, Blood test, ECG, Blood Cholesterol, Serum Creatinine, and stress test. Premium for the sum insured of 5-10 Lakhs is around INR 30,000 - INR 50000 with a varying degree of medical tests. Premiums are around 1 Lakh for a sum insured of INR 15-20 Lakhs. The premium is calculated based on the eldest family member’s age. If you are taking a family floater covering your father and mother who are suffering from diabetes and hypertension and you want to take a health cover for INR 6 Lakhs, you have a premium in the range of INR 30000 to INR 35000.It might go up to INR 45000 for a sum insured of 10 Lakhs. Let us consider an individual who is around 38 years of age and takes a health cover of INR 4-5 Lakhs .He suffers from Asthma which is a pre existing disease.The premium for this is INR 10000-12000. For a young healthy individual of an age group of 25-30 years premium for the health cover of INR 1-2 Lakhs is in a range of INR 1500-3000. Critical illness rider is a customized policy which covers the high costs incurred during a critical illness. These diseases can be cancer, stroke, heart attack and coronary bypass treatment and organ failure. Not all health insurers offer critical illness riders but those that do specify which diseases are covered. 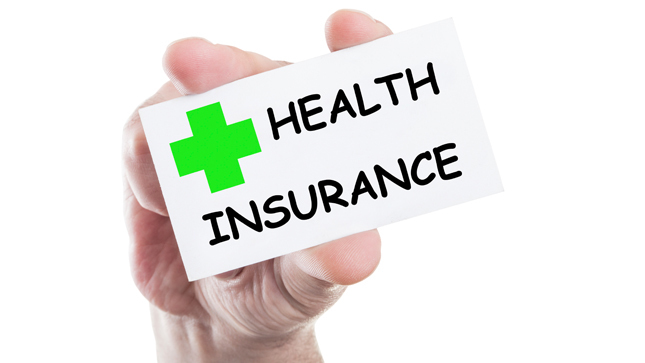 This policy complements and adds value to the existing health policy .This policy provides a lump sum when required and financial aid when we need it the most. These are basically outsourced by the health insurance companies. They function as an intermediary between the hospitals where patients or policy holders undergo treatment and the insurance company . 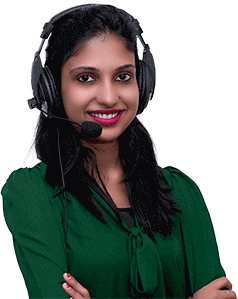 These companies are licensed by the IRDA and have telecom facilities with phone numbers starting from 1600 which are toll free. A Computer Database having all the details of policy holders. Medical specialists to assess whether health care is needed or not, assessing hospitalization treatment and passing of the claim bills. They coordinate with hospitals with respect to treatment of patients, settling of medical bills on behalf of the insurance company. When a patient is ill he is not able to help himself. His relatives and family members admit him to the hospital and then have to apprise the TPA of the situation over phone or in writing. You have to specify the name of the policy holder, Policy No, ID Number, Name of the Doctor sent for treatment, Hospital where the patient is hospitalized, reason for hospitalization, Copy of the prescription of the Doctor. All of this needs to be faxed so that the TPA can make a real time decision. If the hospital where the hospitalization of the patient is going on is on the approved list then the hospital conducts treatment and sends the bills to the Third Party Agent. This is a case of cashless treatment. If the hospital is not on the approved list , the treatment is conducted at the hospital. The patient pays the medical bills himself .Once the treatment is over the bills are sent for approval to the TPA’s. Once approved the amount spent by the patient is refunded by the TPA. Under the 5% concept the policy holder pays 5% of the hospital bills and the rest of the amount is paid by the TPA. There are certain expenses or components of the hospital bill which are not payable by the insurance company. In case all the components of the hospital bill are covered under the claims clauses of the insurer the 5% amount is refunded. The charges of the TPA are included in the premium amounts charged by the insurer. In some cases discounts are given up to an amount of 5% if you opt for direct submission of bills to the insurance company. What Is Meant By A Reimbursed Health Policy? This is basically a policy in which the policy holder has to pay the medical bills during the time of hospitalization and the Insurance Company reimburses the medical bills after the claim is filed .He has to submit the bills to the TPA for approval and he then gets the amount he has spent. What Is Meant By A Cashless Mediclaim Policy? Let us consider that you suffer a serious ailment and are admitted to the hospital. You are not in a position to help yourself. Under such conditions a cashless policy comes to your aid. This policy allows you to be hospitalized or undergo a surgery and the insurance company settles the bill directly through a TPA. The drawback of the cashless facility is that you have to go only to a hospital which is on the TPA Approved list mentioned by the Insurance Company on its website. Once you are admitted in the hospital which is covered by the network you need to give your card number and you will not incur any costs while undergoing the necessary treatment. You need to note that the type of treatment, surgery and the hospital is on the approved list. How Does Cashless Mediclaim Policy Work? Under this policy you get admitted in a hospital for surgery or a medical condition which is approved by the TPA . You need to mention your card number and get the treatment without paying any cash. The TPA who is an important intermediary between the hospital (On behalf of the patient) and the Insurance Company sanctions the cashless process. In case of an emergency the TPA cannot take more than 6 Hours, and not more than 4 days for sanctioning the process for any other medical condition. In an emergency you only need to display the cashless card at the hospital. What Can Go Wrong In A Cashless Policy? The aim of the cashless policy is to provide the maximum assistance during the time of a serious illness to the policyholder. But What Can Go Wrong In Such A Policy? Let us consider Mr. Debasis who has a cashless health policy. He works in a bank and is hospitalized for an accident. He informs the TPA within the requisite time period. He is admitted for a surgery in a hospital which is approved on the TPA list and also the surgery is approved. He assumes that the whole process is a smooth one and there are no hassles. However Mr. Debasis was in for a nasty shock. In spite of having a cashless policy he was forced to pay the hospital bills of INR 50000 Up Front and then he got the reimbursement. Even inspite of having a cashless card he never got the cashless benefits due to the mistake of the hospital. He was forced to go for reimbursement in spite of having a cashless scheme. Many times the mistake is committed by the policy holder as they are not aware of the working of the cashless facility. They do not inform the TPA on time and call them at the last minute. There is confusion on the part of the hospital as well as the TPA due to this. There is a need to renew policies otime, as well as check which medical conditions and hospitals are covered under this scheme. The TPA’s do not stick to their claimed turnaround times which is under 6 hours in an emergency .Cashless schemes are not settled sometimes even for a week. Let us consider a case in which a person suffers from a medical condition .The first question the hospital asks him is whether he is insured under a cashless scheme. What is the reason for this? In this case the hospital recommends the patient to go for an expensive medical procedure as the Insurance Company and TPA settle the claims and have to shell out the sum of money. The hospital profits at the cost of the Insurance Company .This has resulted in the disbanding of a number of cashless facilities in a number of insurance companies. I would like to end this article with the famous proverb " Sickness Comes on Horseback but Departs on Foot " It would be wise to remember the saying and I would like to add that when sickness departs after a long time you are left with nothing in your pockets. Surely a reason to take that health policy.